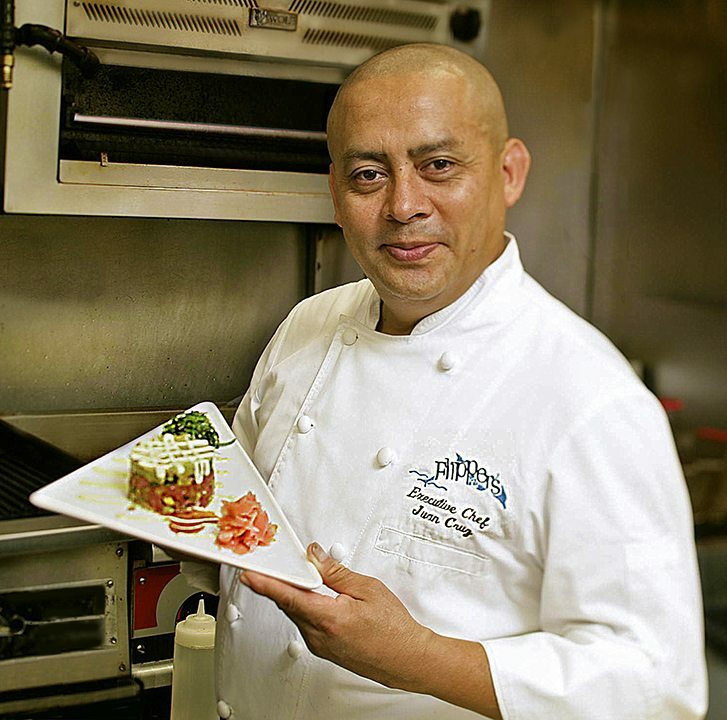 Chef Cruz is an El Salvador native and for the past 20 years has been building his culinary career in some of the finest kitchens in the country while learning from two of the world’s most renowned Chefs: Wolfgang Puck and Thomas Keller. His restaurant experience includes a variety of high-profile restaurants in Southern California hotels including stints at the Checker’s Hotel, the Beverly Prescott Hotel, the Hilton Glendale and most recently at the Embassy Suites in Los Angeles. He’s also been the Chef at a number of Los Angeles area restaurants including Vida, Limbo, Granville Casual Gourmet Café, the Enterprise Fish Company and at Wolfgang Puck in Universal City. In addition to his culinary training, he’s received hospitality management training with Double Tree Hotels, the Los Angeles City College and with Wolfgang Puck Restaurants in Orange County, CA where he received the Chefs’ Teaching Certification. Chef Cruz has added a few new items to the menu and continues to impress with his ability to take the ordinary and make it extra special. The Bohemian Grouper is a favorite dish and is a pan seared black grouper with a citron buerre blanc with a fresh pineapple mango relish. His Coconut Shrimp is considered the best in Southwest Florida with jumbo tiger shrimp hand battered and sprinkled with fresh coconut flakes. Finally, the Taste of the Bay is a combination of succulent lobster meat, shrimp and diver sea scallops, served with pear tomatoes, shallots and bacon in a fresh basil cream sauce.